Just Act Natural is Part of One Great Place! Posted on Sep 21, 2015 by Appleton Downtown Inc.
It’s quite subjective, I suppose. Natural beauty? A city with abundant jobs? Schools? The people? Safety? The arts? A good shopping district? All the above? Appleton -- or more specifically, Downtown Appleton -- sure falls into this category. We have the beautiful Fox River right at our door step. Around 7000 people working in the downtown. A school inside City Center. Tons of live concerts and artsy events and businesses. More than 100 restaurants and retail shops. Sure looks like an “all-the-above” category to me. At Just Act Natural, we are blessed to be part of the “all-the-above” definition of One Great Place. We feel passionately that our little green goods shop is also One Great Place for those looking for that unique eco-friendly gift or for others trying to convert to a healthier, sustainable lifestyle. “Where do I begin?” is a question we often get when people want to start converting from conventional products to healthier, green ones. Many start eating healthier foods; some start rubbing on natural body care products; some start cleaning their homes with non-toxic cleaners; some even start using non-chemical lawn-care companies. All are correct. We just need to do something. Just start! There are literally hundreds of ways of greening your lifestyle and they all don’t need to cost thousands of dollars like adding geothermal to your home or solar panels to your rooftop (although both are great ways to save money over the long-haul). It can be a daunting task, but we make it easy. We’ve always said to use up one conventional product at a time and then replace it with a healthier, greener option. That way you won’t go broke trying to clean out your cupboards and closets in one day. Use up your yucky, lab-created shampoo and then replace it with a healthy, plant-based shampoo. Same thing with cleaners. Some household cleaners can be very toxic to our lungs. It doesn’t have to smell like a chemical in order to be clean. Drinking more water is always towards the top of improving one’s healthy lifestyle, and we help people everyday choose a safe glass or stainless-steel water bottle. Plastics are petroleum-based and can leach dangerous toxins into liquids, especially if bottles heat up in the summer. 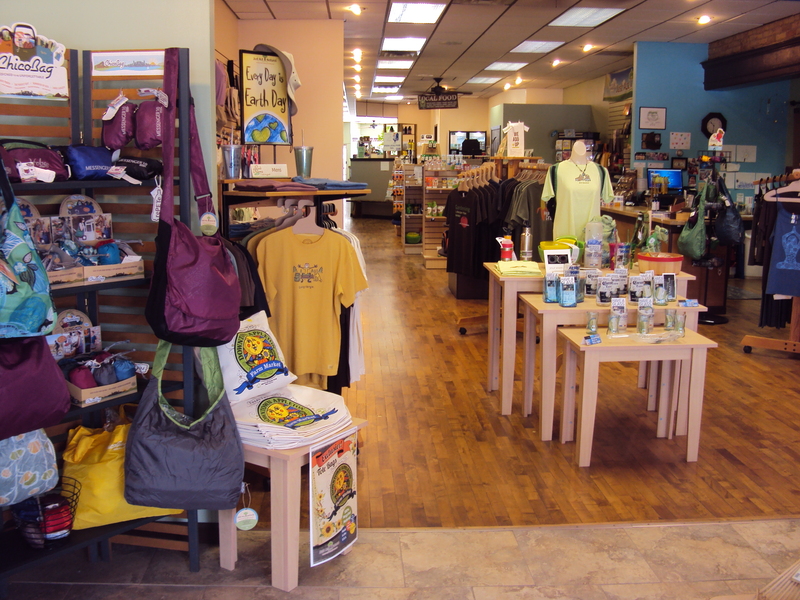 There are dozens of other clean, green products we can help you convert to; just stop on by and we’d love to help. 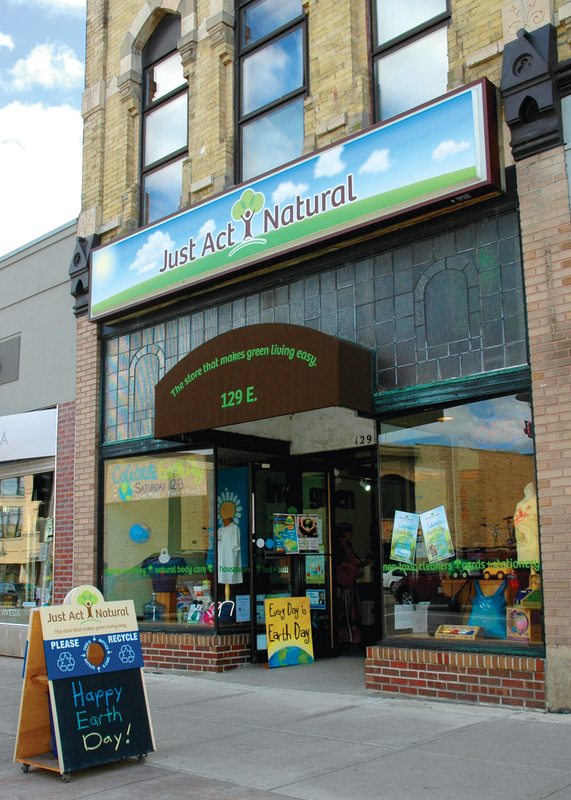 We already know Downtown Appleton is One Great Place, and we sure hope you’ll feel the same about Just Act Natural!